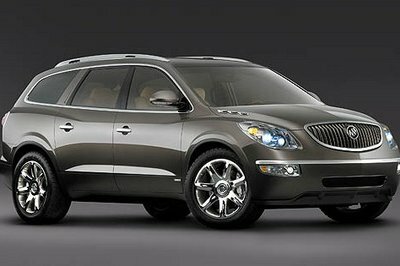 Introduced in 2008 as a more upscale version of the Chevrolet Traverse and a replacement for both the Rainier and Terraza, the Enclave quickly became one of Buick’s most popular modern nameplates in the U.S. and a big hit in China. After nearly ten years on the market, the first-generation Enclave was retired to make way for a brand-new model. Not only redesigned from a clean sheet inside and out, the new Enclave also rides GM’s fresh 1XX platform and uses the company’s latest V-6 engine. It also packs an array of new tech and safety features, as well as premium materials inside the cabin. Introduced at the 2017 New York Auto Show, the new Enclave draws its styling cues from the recently unveiled Avenir and Avista concept. What’s more, it was used to introduce Buick’s new luxury sub-brand. Released under the Avenir name, it will be offered as a range-topping trim with higher quality materials and exclusive features. 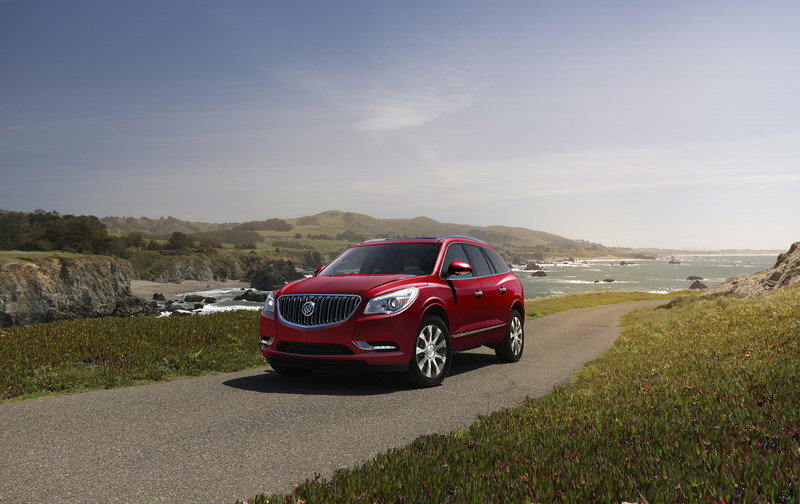 On paper, the new Enclave has what it takes to move Buick higher in the premium class. Find out how it stacks up against the competition in the comprehensive review below. Continue reading to learn more about the 2018 Buick Enclave. SUVs rose to popularity in the early 2000s, with customers being drawn to their large cabins, higher ride height, and perceived safety. The fact that automakers scored bigger profit margins from them also contributed to the surge. Starting in 2015, sales of SUVs started dominating the auto industry, and carmakers began building them in all shapes and sizes. But, while you can buy everything from compacts to full-size vehicles with taller ride height, three-row SUVs are limited to only midsize and large SUVs. It’s obviously a matter of practicality here. And, while most haulers aren’t exactly practical, three-row vehicles retain one of the most important features of original SUVs: the ability to carry more than five people. With minivans almost extinct, the three-row SUV is arguably the most practical of its kind. With that in mind, we’re going to take a look at the ten best three-row SUVs you can buy today and compare what they offer in terms of features, power, and third-row practicality. Beginning in 2019, Buick will stop using its brand plate on the tailgate of its vehicles, leaving just the model’s name and the brand’s Tri-Shield logo as the only identifiers of the same model. 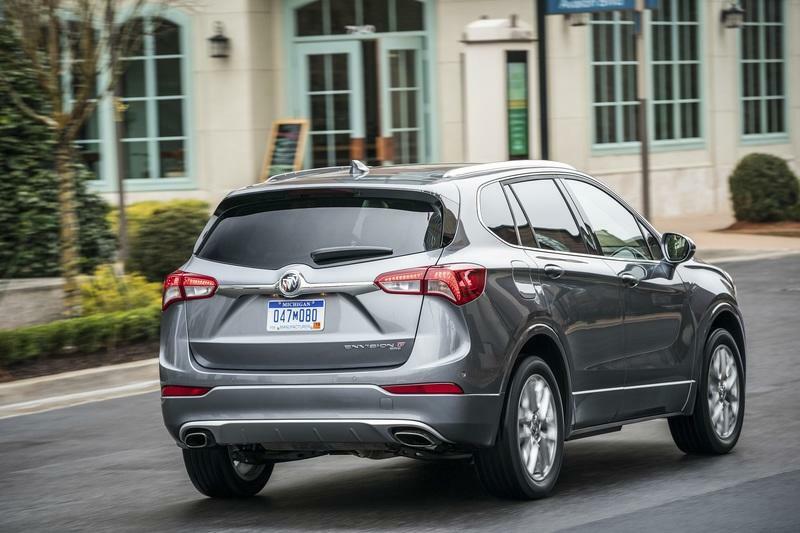 Word of Buick’s plans first came to the surface after the debut of the 2019 Buick Envision showed a noticeable absence in the company’s usual exterior identifiers. The model name and the badge were present, but the “Buick” brand plate was nowhere to be found. As it turns out, this is all part of a new strategy that Buick will be implementing by next year. How American can a vehicle be? Each year, the American University’s Kogod School of Business conducts a survey of the automotive industry. 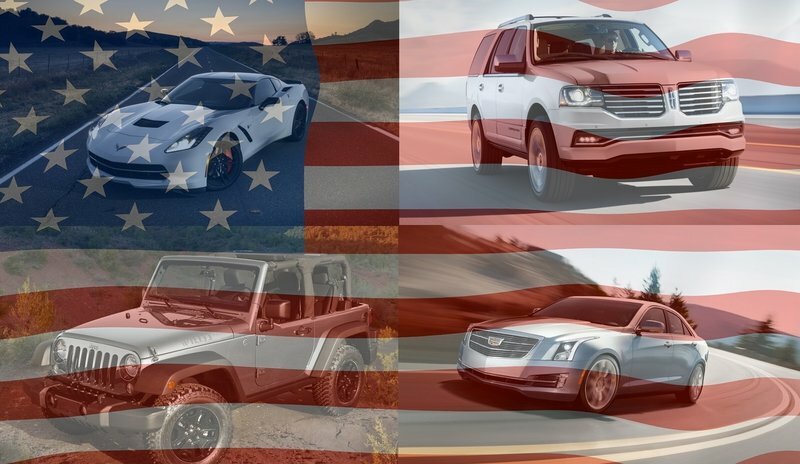 The D.C.-based school maps out the most American-made vehicles, regardless of their brand. Seven key criteria are used in determining the rankings, but it comes down to the percentage of American and Canadian parts used and location of the vehicles’ assembly, research and development, and corporate headquarters. Continue reading for the Top 10 Most American Built Vehicles. 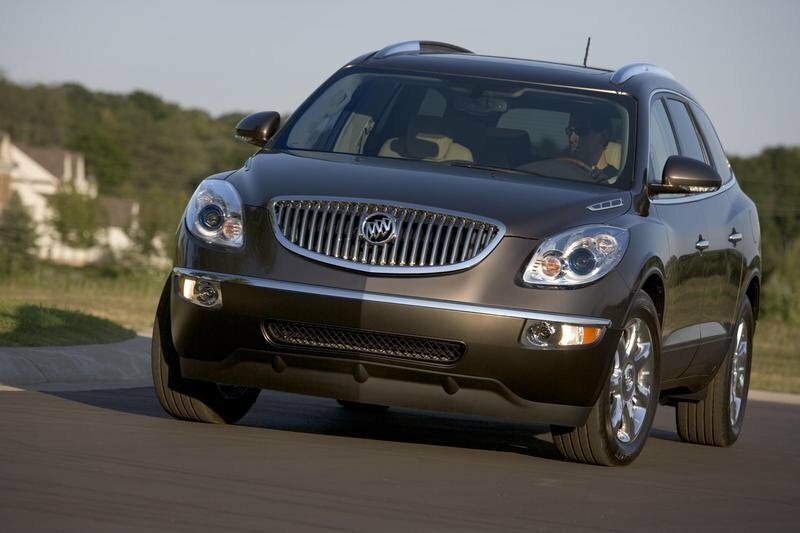 Launched in 2008 as a replacement for both the Rainier and Terraza, the Enclave helped Buick achieve record sales globally by becoming very popular in North America and China. After nearly ten years on the market, Buick redesigned the crossover from a clean sheet and gave it GM’s fresh 1XX platform and a brand-new V-6 engine. In addition to an array of new technology and features, the Enclave also became the first production Buick to wear the Avenir badge, which stands for the company’s new luxury sub-brand. Introduced at the 2017 New York Auto Show, the Enclave Avenir is more of a trim rather than a stand-alone model, being offered with exclusive features and additional standard equipment. In all, it’s a fancier version of the regular Enclave that competes with range-topping versions of the Acura MDX and Lincoln MKX, and maybe even more affordable variants of the BMW X3 and Mercedes-Benz GLC. Continue reading to learn more about the Buick Enclave Avenir. The 2017 New York International Auto Show is now in full swing, and Buick isn’t wasting any time in introducing a new premium sub-brand it’s calling Avenir. If the name sounds familiar, you’re probably remembering the full-size luxury four-door concept car Buick brought to the 2015 North American International Auto Show. At the time, we liked it, praising its classy good looks and well-executed interior, and hoped dearly that Buick would see fit in bringing it to production. And while we have yet to see the potential new flagship sedan get the green light, the Avenir name just got tagged on the new 2018 Enclave, ushering in a new premium sub-brand for Buick in the process. Fittingly, the word Avenir is French for “future,” so it stands to reason the Enclave Avenir is just the first of many more top-quality offerings to come. All in all, the Enclave Avenir looks promising, bearing many of the same qualities as the concept sedan we enjoyed so much, albeit with a glaze of production-friendly tweaks laid on top. So what kind of goodies can we expect from future Avenir products? Read on for our take, as well as the new Enclave Avenir’s various standout features. 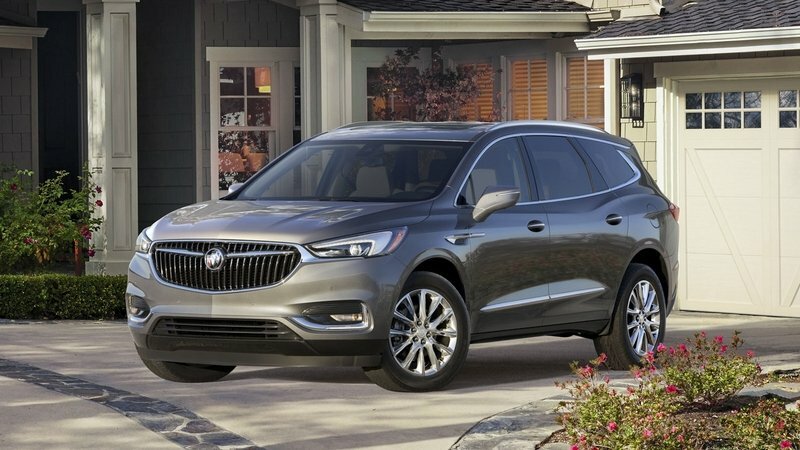 The Enclave is said to be what the Buick brand stands for, which according to Duncan Aldred – the VP of Global Buick and GMC – is “smart, stylish luxury.” Be that as it may, the Enclave is no spring chicken and has been on the market since 2008, being updated just once in 2014. 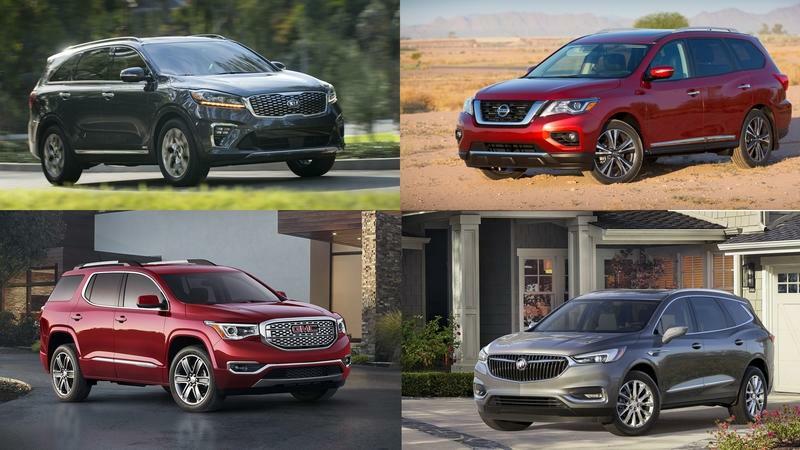 The second generation is finally here, and Buick looks to take on models like the Acura MDX, Audi Q7, and Infiniti QX60, among others. Offering seating for seven, the new Enclave is also lower and slimmer than before but sees an improvement in passenger space inside. There are a lot of new design cues to talk about, and some significant features that could really give the Enclave a fighting chance in this ever-evolving segment. The new Enclave gets some serious updates to the exterior that includes a redesigned and shorter grille, new headlights and taillights, revised fascias, and some new body lines. To be more specific, the grille looks more modern while the headlights are finally on par with the rest of the market. The body lines of the new Enclave are similar to the outgoing model, but stands out by being sharper and more curved in all the right places. The rear quarter glass has changed dramatically and makes for a taller rear quarter. The taillights are sporty and upscale, while the rear fascia is upright and prominent. I’m pretty sure this thing has been doing squats, but we’ll save that for another conversation. But, it’s not the exterior where the Enclave really stands out among the competition. No; it’s the interior where things have been dramatically redesigned. So much so, in fact, that you have to see it for yourself. Keep reading to learn more about it. Fuel economy woes apparently aren’t confined to VW and Mitsubishi as General Motors announced it mislabeled fuel economy labels on three of its popular three-row crossovers, leading to a stop-sale, class action lawsuit, and customer reimbursements totaling more than $100 million. Customers with affected vehicles will receive an explanation letter, which details the two methods of reimbursement. Customers can choose between a prepaid debit card or can opt for extended warrant coverage. The monetary amount paid out is based on factors including the difference between the actual EPA ratings and the mislabeled window stickers. Average payouts will range between $450 to $900, with some customers receiving less while other will get up to $1,500. Those who choose the warranty coverage will receive an additional 48 months/60,000 miles on top of their 36-month/36,0000-mile standard warranty. The erroneous fuel economy labels shows the Lambda vehicles achieving 16 mpg city and 23 mpg highway for AWD models and 17 mpg city and 24 mpg highway for those with FWD. The corrected EPA estimates are 15 mpg city and 22 mpg highway for both FWD and AWD models. The change comes after GM reportedly updated emissions control systems for the 2016 model year. Additionally, between 30,000 to 35,000 Lambda crossovers were sold to fleet organizations like rental car agencies and other corporations. GM has yet to announce its plan to compensate those owners. Meeting the high standards of a major international auto show is not easy. It takes creativity, an appropriately sized budget, and no small measure of polish. When it all comes together, the result is a beautiful thing to behold. 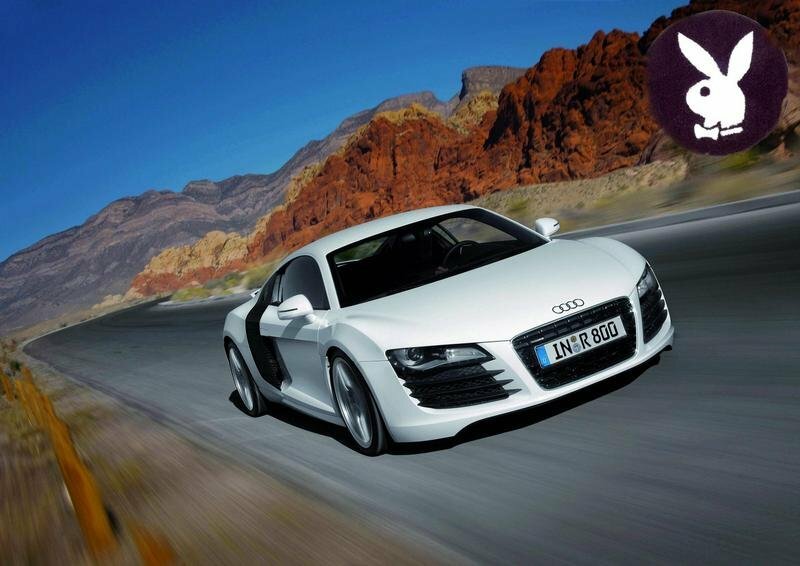 A single model can shed light on an entire brand, sparking passion and lust in every corner of the automotive universe. We’ll cover those drool-makers in an upcoming Best In Show piece, but this article hits the other side of the spectrum – the monotonous, the poorly conceived, and the yawn-worthy. This time around, our list of Worst In Show has a theme – special editions that aren’t that special. 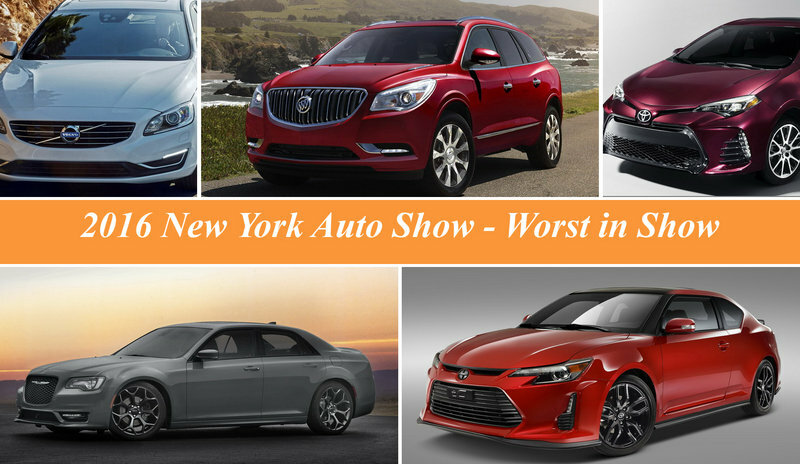 The 2016 New York International Auto Show was chock full of ‘em this year, so we collected some of the worst offenders for a little collective disdain. Wait, what? A Sport Touring edition? Aren’t those mutually exclusive styles of handling? That’s like Chevrolet throwing an SS badge on a Silverado 3500 HD. “The HD SS, the pentacle of high-performance trailer-towing upsets lap records at Nürburgring and Laguna Seca,” the press release would read. While that would be bad enough, it’d be worse if the badges didn’t mean anything. Well that’s apparently the case with Buick’s latest appearance package for its largest SUV, the three-row Enclave. This special edition Enclave is neither sportier nor cushier, but rather more “blinged out” with a color Buick calls Satin Black Ice. The color can be found on the grille and within the spokes of the 20-inch chrome wheels. The ice blue color is found inside as well, emanating from the dash via LED bulbs. There’s only three body colors offered as well, which include White Frost Tricoat, Crimson Red Metallic, and Ebony Twilight Metallic. What’s more, the Enclave isn’t the only Buick getting the icy treatment. It can be ordered on the LaCrosse, Regal, Verano, and Encore. Buick says the Sport Touring Edition is a reward for its loyal customer base, citing that 33.4 percent of Enclave sales in 2015 came from returning customers. Though the automaker only has two SUV models, they accounted for 61 percent of Buick sales last year. That percentage will certainly grow with the 2016 Envision crossover hitting the market this summer. We don’t know who that “new generation” of customer is, but they’ll be able to purchase the Enclave Sport Touring Edition this summer for a slight premium over the 1SL and 1SN trim packages. 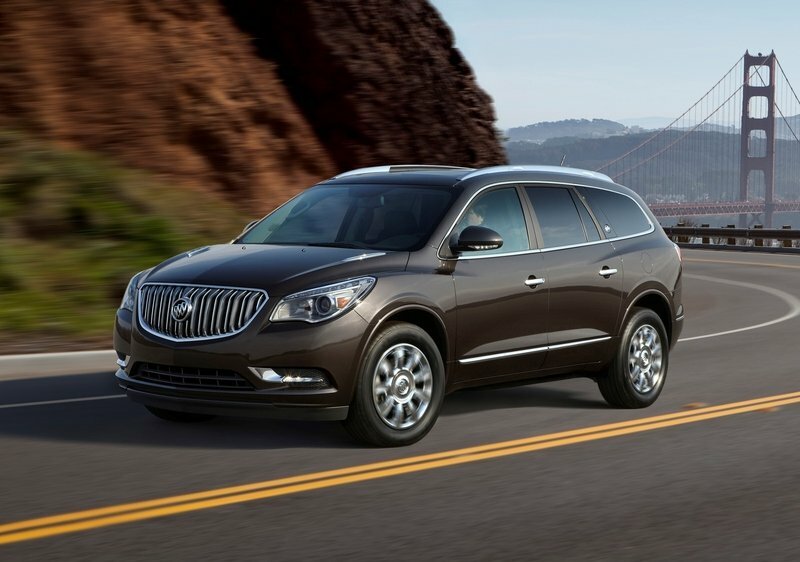 Continue reading to learn more about the Buick Enclave Sport Touring Edition. GM will split its triplet crossovers; Traverse and Enclave will keep larger sizes. 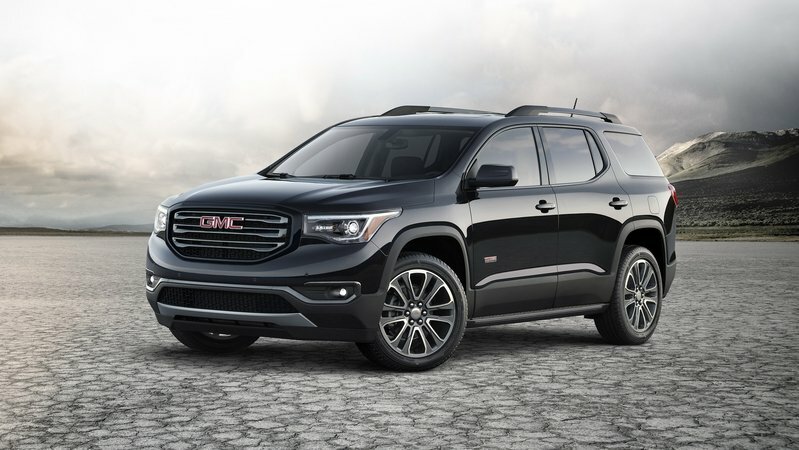 The GMC Acadia broke new ground at the 2016 Detroit Auto Show with an all-new chassis that drops 700 pounds and seven inches over the old Lambda platform. The 2017 Acadia is still a three-row crossover, but its new size is more in line with the Ford Explorer and Toyota Highlander. That move left the auto industry wondering if the Acadia’s siblings would follow the lead. According to GM’s Global product chief Mark Reuss, the answer is no. Automotive News was able to snag a telling statement from Reuss, saying, “The brand separation in size and mission and the positioning of these vehicles has never been more differentiated.” It might be vague, but it’s still telling. This “separation in size and mission” suggests the Traverse and Enclave will likely remain larger, closer to their current size, once they make the generational jump. GM hasn’t provided any solid words, but we’re expecting the Chevy and Buick twins to adopt a long-wheelbase and widened version of the GMC Acadia’s C1 platform, itself shared with the 2017 Cadillac XT5. This would allow the Chevy and Buick to lose some weight, keep their relative size, and gain new technologies and possible powertrains. It’s doubtful Chevy and Buick will adopt GMC’s new 2.5-liter four-cylinder, due to their larger sizes, but stranger things have happened. Expect the updated 3.6-liter V-6 to be the volume engine. 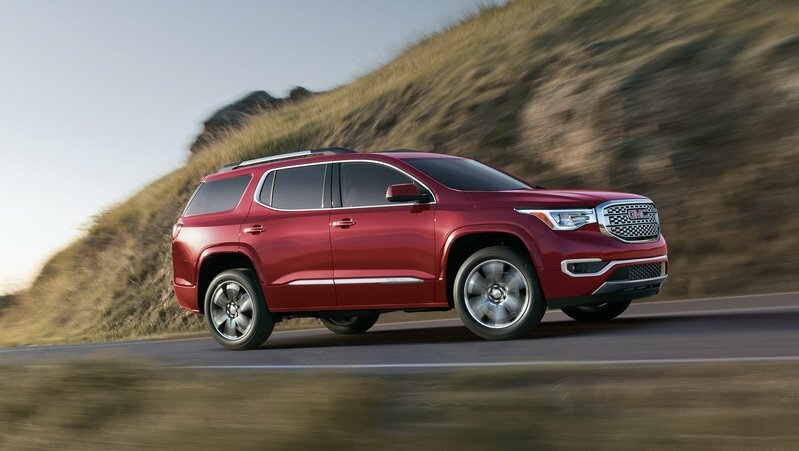 Weight loss will be somewhat limited, coming in well under the 2017 Acadia’s 700-pound trim. When Buick recently decided to name 11 "greatest hits" from its back catalog, it wanted one vehicle to define each decade the company has been making luxury cars. The most current model on the list and the one representing the modern Buick brand? The Enclave. This full-size crossover seats up to eight people in a giant interior that could also double as a moving van. Its luxury styling elements, quiet cabin and optional AWD have earned the V-6-powered Enclave not only prestige within Buick’s history, but also a breakout sales success rank that few expected when the model was launched as a 2008 model. The name is pronounced “On Clave” and loosely means "to surround and protect." The name matches the mission of this family friendly wagon: offer almost all of the normal minivan space and safety benefits in a more fashionable SUV shell - with optional AWD and 4,500-pound towing capability. The latest 2014 Buick Enclave packs a few updates to its interior amenities, new safety tech and a light exterior refresh that includes LED lights front and rear. How does it fare versus its primary competition in the $45,000 luxury crossover segment: the Infiniti JX35 and the new Acura MDX? Does it have enough luxury to justify the extra spend over the latest seven-passenger Hyundai Santa Fe? 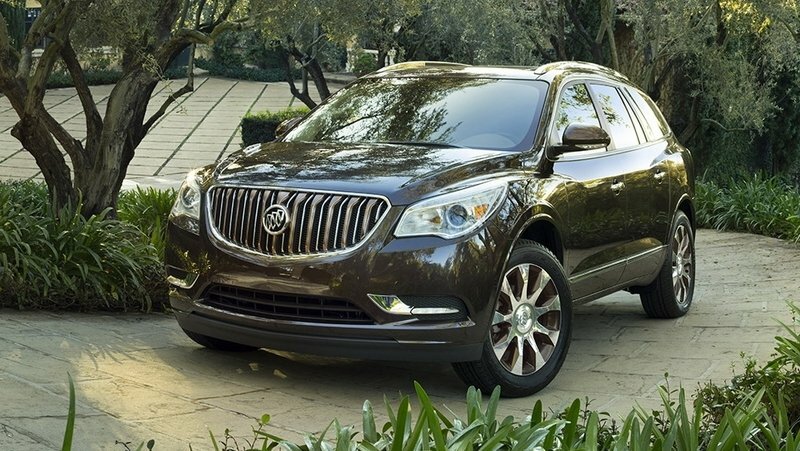 Updated 03/27/2015: Buick announced the Enclave will receive a Tuscan Edition package for the 2015 model year at the New York Auto Show in April. Learn more about it below. 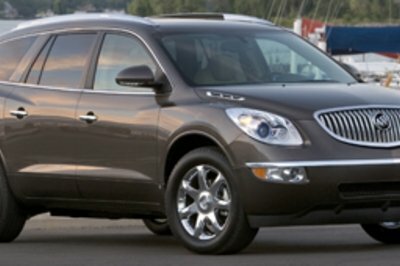 Continue reading to learn more about the 2014 Buick Enclave with mega photo gallery of the revised exterior and interior. Having unveiled a rebadged version of the Opel Cascada and the Avenir concept at the 2015 Detroit Auto Show, Buick has announced plans to unveil something new at the New York Auto Show as well. However, this time we won’t be getting a new nameplate or a concept previewing a future product, but a new equipment package for the Enclave. Set to go on sale this summer on the Leather and Premium trims, the package goes by the name Tuscan Edition and adds a number of standard luxury features to the full-size SUV, as well as two new exterior colors, White Frost Tricoat and Ebony Twilight Metallic. Specifically, in addition to the standard equipment on the Leather trim, the Tuscan Edition gets a heated, wood-trimmed steering wheel, Ice-Blue LED ambient lighting around the instrument panel, heated, eight-way power front seats with power recline, lumbar support and driver memory, OnStar with 4G LTE and built-in Wi-Fi hotspot, and tri-zone automatic climate control. HID headlamps, a power liftgate, rear park assist, and rear-vision camera system are also included. The Premium trim comes with all of the above plus heated/cooled seats and a power-tilting/telescoping steering column. Both models are powered by the 3.6-liter V-6 generating 288 horsepower and 270 pound-feet of torque, while all-wheel-drive remains an option. There’s no word on pricing for the Tuscan Edition package, but we should find out more at the 2015 New York Auto Show scheduled to begin on April 3rd. Stay tuned! 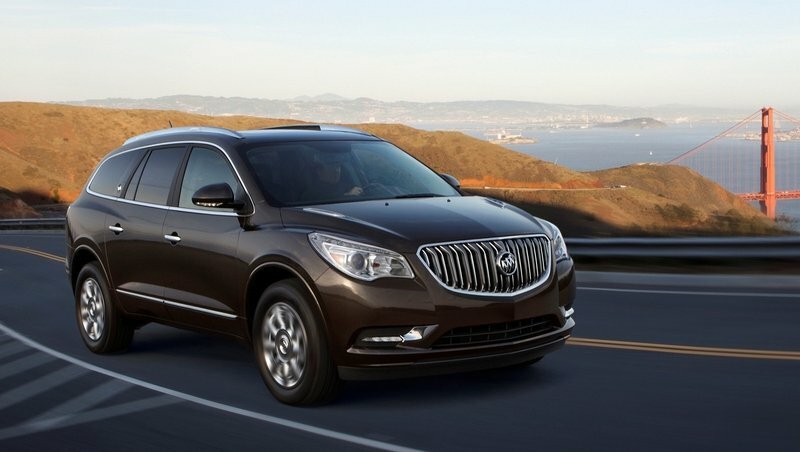 Continue reading to learn more about the Buick Enclave Tuscan Edition. 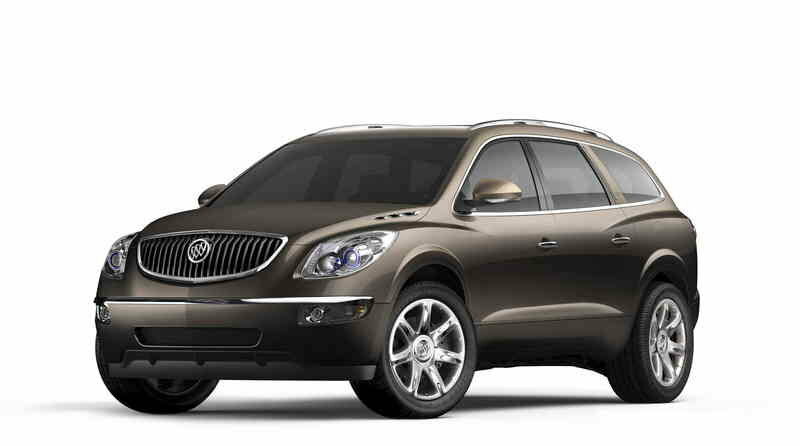 Initially announced in 2007, the Buick Enclave soon became the industry’s best-selling three-row luxury crossover. 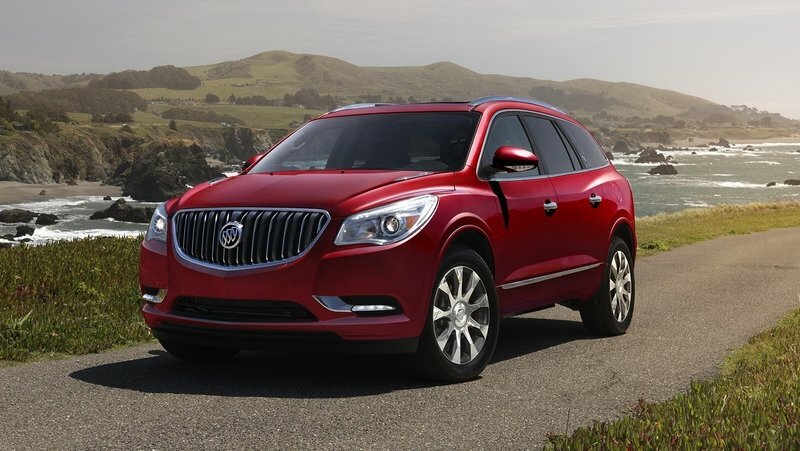 Now, for the 2013 model year, the Enclave has been updated with new styling, new safety technologies, in-vehicle connectivity, and a more refined driving experience. The new model will go on sale in Fall 2012. 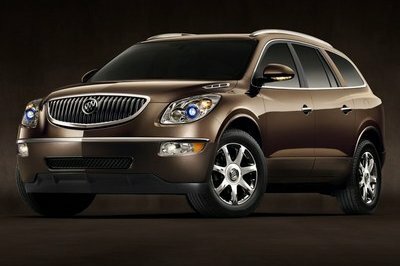 The new Enclave will be immediately recognized as a Buick due to its sculpted styling design language brought out five years ago, but this design language has been updated with the addition of a more prominent grille, LED headlights and LED daytime running lights, a new hood, a modified rear bumper, and restyled 19- and 20-inch alloy wheels. The interior has been updated with higher quality materials, chrome insertions, and a new center stack. Under the hood, Buick has placed a 3.6 liter V-6 engine with an output of 288 HP and an updated six-speed automatic transmission that contribute to a more refined driving experience. 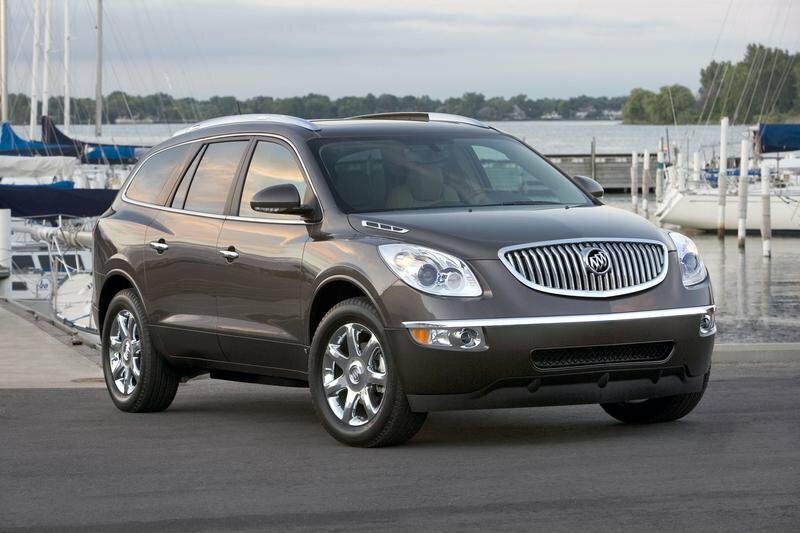 UPDATE 04/03/2012: This review has been updated with the official images and specs for the 2013 Buick Enclave. UPDATE 04/06/2012: Today we have added a series of new images from the car’s official debut in New York. Check the picture gallery to see them. 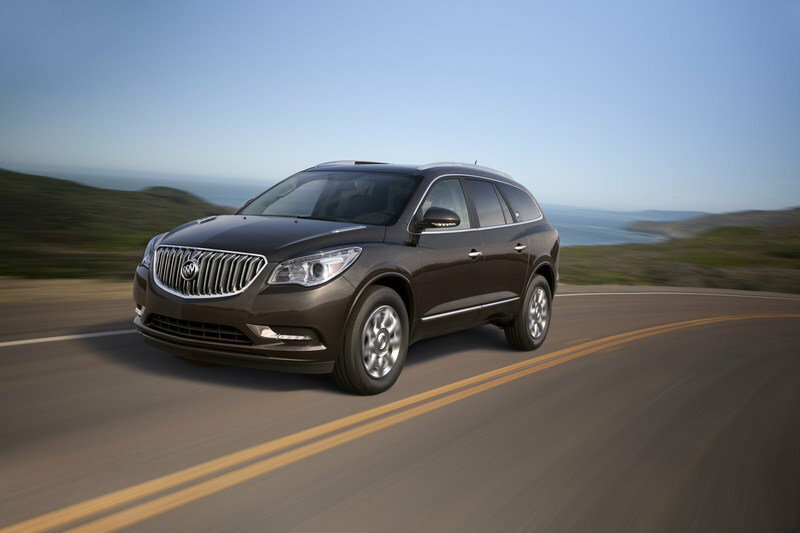 Hit the jump for more information on the 2013 Buick Enclave. In China, Buick’s heritage makes it a new and hip brand. In North America, its heritage makes it the brand for those who need a new hip. In fact, China accounted for about 34 percent of Buick’s total sales last year. 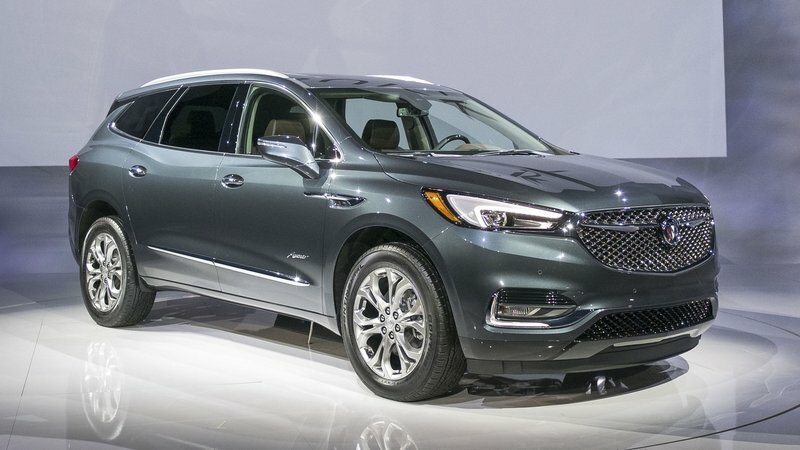 So to help put the cars where the people want them the most, General Motors has now announced that Buick will now export its Enclave SUV to China. Buick is one of most popular brands in the country, but these are not the exact cars available in the U.S. The Buicks in China right now mostly are mostly original cars or designs borrowed from other GM brands such as Daewoo, Opel and Holden. “Uptown.” The phrase conjures images of sophisticated luxury – timeless elegance with a flavor for the avant-garde. It is fine furnishings and the latest electronics, cool jazz with an equal dose of hot salsa. It’s the blending of two colors to create a distinctive new shade. 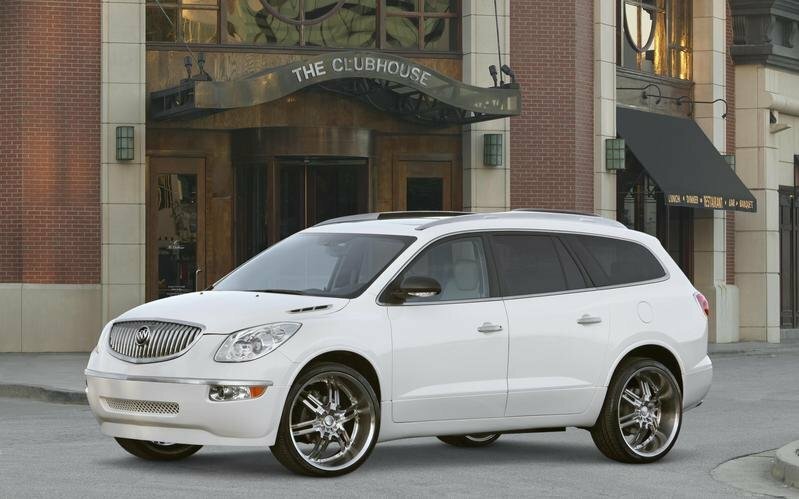 That’s the premise behind the Buick Enclave UpTown being introduced at the 2007 Specialty Equipment Market Association Show in Las Vegas. It was created by Rick Bottom Designs of Mendota, Ill.
Platinum’s rarity has long made it the metal of choice for nobility and the affluent – more so than gold. Black, meanwhile, has traditionally been associated with refinement … a confident elegance, demonstrated by the black tuxedo, black dress or color-of-choice for luxury vehicles. Black and platinum merge seamlessly in the Buick Enclave Black Platinum Edition. 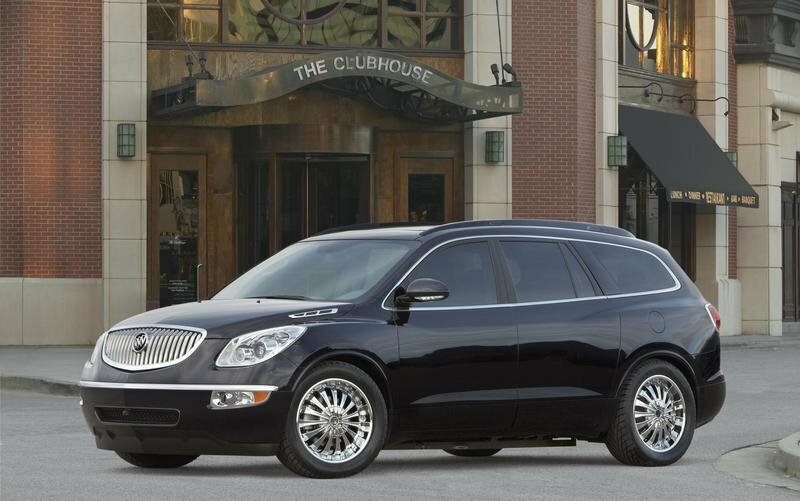 Created by Mitek Corporation of Phoenix, Ariz., Buick Enclave Black Platinum Edition is being introduced at the 2007 Specialty Equipment Market Association Show in Las Vegas. From a tenacious player on the basketball court to a respected automotive stylist off, nine-year NBA veteran Jerome “Junk Yard Dog” Williams puts the same resolve into vehicle customization as he did on the hardwood. Williams and his company, Automotive Street Style, have teamed up with Buick to create a vehicle that appeals to today’s urban influencers. 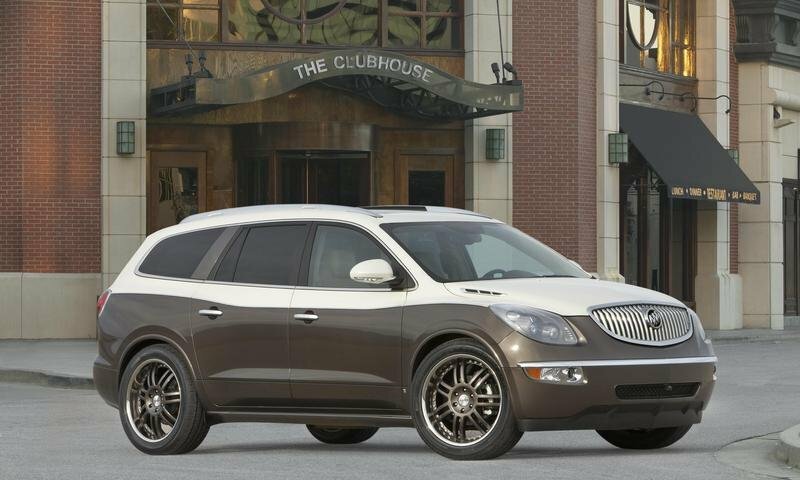 The result is a luxury crossover that Williams has dubbed the “Buick Enclave Urban CEO Edition.” It was revealed at the 2007 Specialty Equipment Market Association Show in Las Vegas. Yes, the Buick Enclave tied the Toyota Prius as the hottest new car model for September. The calculation is based on the number of days the car sits on the dealer lot before it is sold. In the case of the Enclave, the average buyer was much younger than the average for other Buick models. Almost half of the buyers were between 36 and 55. Two-thirds of buyers were men. Buick will expand its international reach following a four-year agreement signed today by General Motors and Shanghai GM to export up to 25,000 of the brand’s hot-selling Enclave luxury crossover to China beginning in the second half of 2008. General Motors of Canada announced today that pricing for the all-new 2008 Buick Enclave will begin at $40,895 for front-wheel drive CX models and $43,895 for all-wheel-drive CX models. The front-wheel-drive CXL begins at $48,295, while the all-wheel-drive version starts at $51,295. 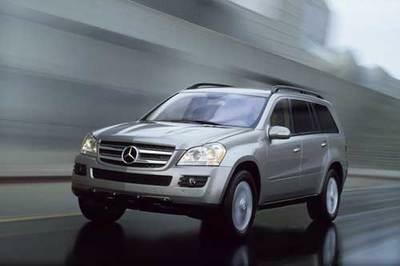 Forbes has listed what they consider are the "Best" SUVs for 2007. For example Cadillac’s overhauled Escalade, which the company introduced in 2006, has the nicest interior of any American automobile. Mercedes-Benz was quick to follow with tough competition for the Escalade: the plush, full-size, $53,000 GL-Class SUV, which saw 19,000 sales in 2006—a better performance than that of Mercedes’ more-affordable R-Class SUV. When the all-new 2008 Buick Enclave luxury crossover sport utility vehicle arrives in dealerships early this summer, it will come equipped with a long list of standard equipment, a suite of owner services and a price unmatched in the segment. Tiger Woods, the world’s top-ranked professional golfer and long-time Buick partner, teamed up with Buick to introduce media to the brand’s newest vehicle: the all-new 2008 Enclave luxury crossover SUV, on the eve of the Los Angeles Auto Show. The Enclave was unveiled at the Art Center College of Design in Pasadena, one of the world’s most prestigious art and design schools. 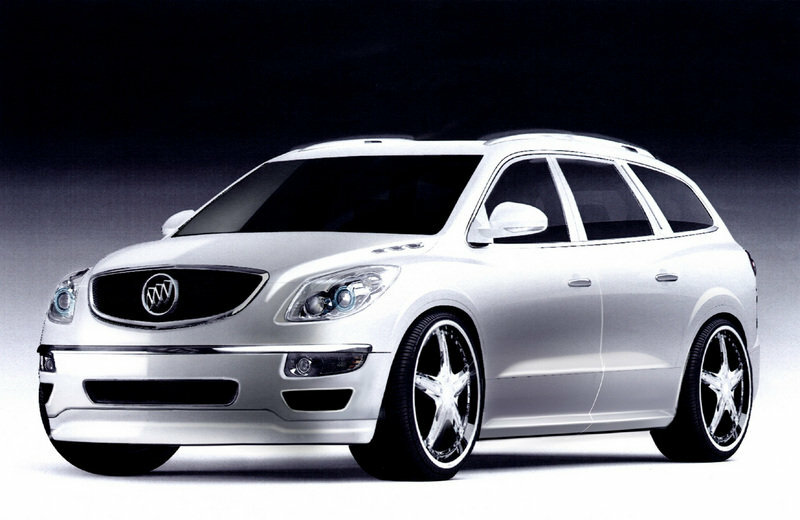 Buick plans to launch an all-new crossover utility vehicle in the spring of 2007. The Enclave SUV debuted at the 2006 North American International Auto Show as a concept. Buick decided to get the car into production for 2007-2008. 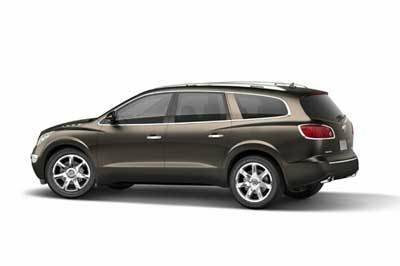 The Buick Enclave - a luxury SUV concept that combines the athletic proportion of a modern crossover vehicle with the romantic forms characterized by Buick’s rich design heritage - was introduced at the 2006 North American International Auto Show in Detroit. It provides a glimpse of a vehicle Buick intends to bring to market.